The “real world” has grown exponentially more depressing and my desire to hide away from it all is hard to deny. 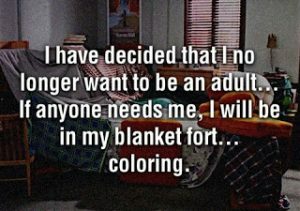 But, as someone occasionally accused of being a responsible adult, I can’t just heed the call of the blanket fort without considering the consequences. Thankfully, the Muse has finally decided she’s seen enough of the copper coffee pots. She has taken me back (or is it forward?) to the days after the end of the world: a decade after a few superpowers chose play the very dangerous and deadly game of Whose Bomb Is Bigger, Anyway? and ended up destroying civilization. Some saw the way things were headed and prepared: shelters were built and stocked and, when the bombs began to fly, evacuations began. Some were barely large enough to keep a single family safe but others were designed to house the populations of entire cities. Others preferred to stay above ground: to fortify what they could, help each other as much as they were able, and let fate lead them into the future. Still others blindly trusted in divinity and bureaucracy: content to wait for government assistance and/or the hands of the Gods to scoop them up out of harm’s way. Survival has done a lot of things to the races that lived here and has, in some cases, made matters worse. It should be simple, right? It’s time to buckle down and start earnestly working on new stuff. Words just flowing from mind to page faster than the word processor can manage. …and how I sometimes had to woo her with coffee, chocolate, and (sometimes undeserved) accolades of adoration and greatness. I have reached the point that I am emulating my real-life muse (may she rest in peace) and sit typing a tongue-twister buried in my brain from high school drama over and over again hoping the words will transform into something resembling a story. Or the next part of a half-finished story. Or anything at all, really, other than A quicker cup of coffee from a copper coffee pot. At least she’s giving me that much. Expect the plan to go off the rails. I have made plans, executed plans, and watched life send them flying off the rails. Now, I’ve thrown out the plan. I was once accused of not being able to do anything half-assed… and that what I considered half-assed was more effort than most people put into anything. 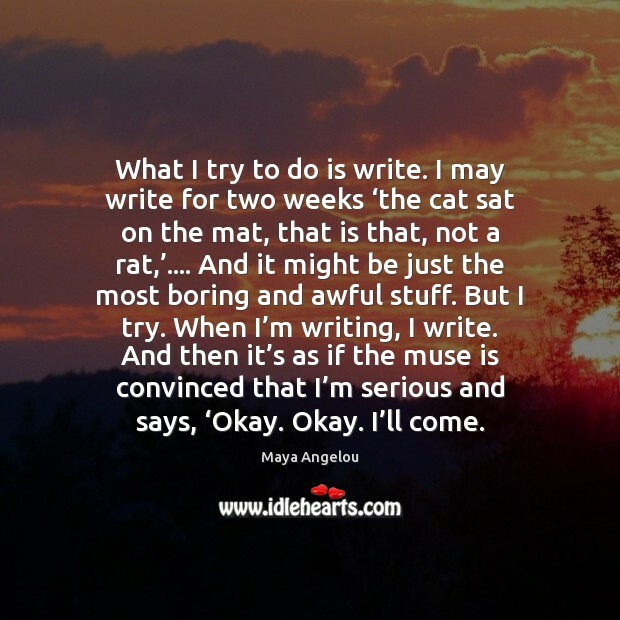 I guess that’s why, when I said I was going to start working, I jumped into a half-baked story that seems to need quite a bit more fermentation before it’s ready to be presented to the world. A world (in a different dimension) that evolved in-line with ours with one major difference – those races we know as “fantasy creatures” and “faery” are the dominant species. Mankind, as we know it, is greeted with the same sort of skepticism (and belief in them met with the same sort of stigma) as exists here. Getting someone to believe, however, is another matter entirely. Please poke around the new site and let me know what you think. Figured I may as well link everything up, so this post is a test. Had this been a real post, there would be something cool here. Maybe even something you might want to respond to. Author carriePosted on 19 May 2016 19 May 2016 Categories Uncategorized1 Comment on Hello world!